Limited edition regular boutique Argentine Tango courses for Absolute Beginners. Dates & Hours: The TANGO DELUXE initiative starts daily, regardless of a specific day or hour! The only requirement is a pre-fixed arrangement between us and the couple/s! * The specified schedule is absolutely conditional and flexible! Includes 5 consecutive weeks or individual schedule and depends on possible individual arrangement with each pair for independent dates and time by mutual agreement! 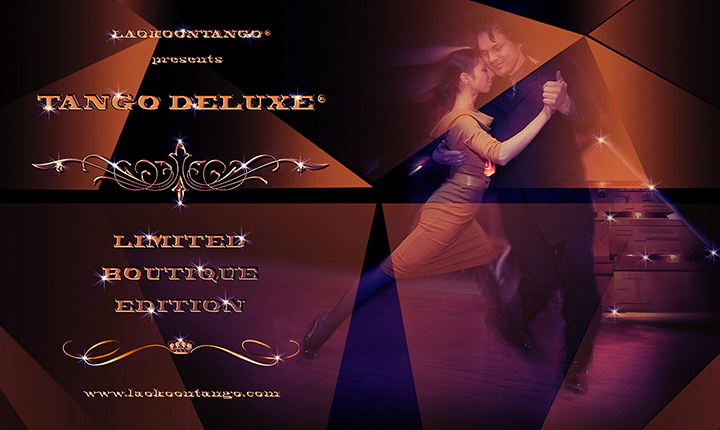 For complete information about TANGO DELUXE© and the requirements, please use the contact form in the website or the telephone numbers there!